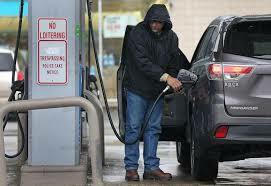 Gasoline prices rose in the past week in the U.S. and in Oklahoma where some places saw increases of 9 cents a gallon. AAA Oklahoma reports the state’s new average price is $1.99 which is 5 cents higher than last week at this time. The national average is $2.28 which also rose 2 cents per gallon over the past week. Oklahoma’s cheapest gasoline is in Lawton at $1.92 but it is also 9 cents higher than one week ago. The highest prices continue to be in the northwest where drivers are paying $2.20 a gallon in Arnett and $2.17 in Woodward. And northeast Oklahoma counties that normally have some of the lowest prices in the state this week do not. Tulsa drivers are paying $2 a gallon on average which is up from the $1.93 average reported last week. Oklahoma City drivers pay $1.97, up 3 cents a gallon. Drivers in adjacent states pay $1.98 per gallon Texas, $2 in Kansas, $1.99 in Missouri, $1.96 in Arkansas, $2.11 n New Mexico and $2.01 in Colorado. 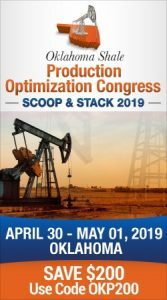 AAA indicated that for market observers, the price gains indicate that the global crude supply is tightening, an anticipated result of OPEC’s production reduction agreement of 1.2 million b/d with other non-OPEC producers, including Russia. The reduction remains in effect for the first six months of 2019. Additionally, the global crude supply is expected to tighten as a result of U.S.-imposed sanctions on crude exports from Venezuela, which could send prices higher. In the weeks ahead, rising crude prices will likely increase pump prices for motorists across the country since the price per barrel of crude comprises approximately 50 percent of the cost consumers pay at the pump.